Actress Alia Bhatt is celebrating her 25th birthday today. Alia is currently shooting for Meghna Gulazar's Raazi and Ayaan Mukherjee's superhero flick Brahmaastra. Having had a good run at the box office previous year with Badrinaath Ki Dulhaniya, Alia is expecting to create the same magic with her power-packed roles in both the ventures. Alia would also start shooting with Ranveer Singh for Zoya Akhtar's Gully Boy soon. The year is packed for the actress and it seems that the actress has no qualms. Her love and sincerity towards her work has made her one of the most popular actresses amongst her Bollywood peers. In addition to being one of the most sought after actresses in town , Alia is also a whole lot of other things too. A singer, a fitness icon, a fashionista, a philanthropist- Alia dons multiple hats, that too with such elan! One of the youngest actresses to have won the coveted Filmfare awards, Alia Bhatt is passionate about a lot of things and one of them is food. In her interviews, Alia has been very vocal about her diet and her love for clean eating. In fact, she is such a propagator of clean eating that she insists that her paneer, dahi and glass of buttermilk is also made of organic milk. She does not believe in fad diets and also indulges in her favourite sweet treats and local delights. 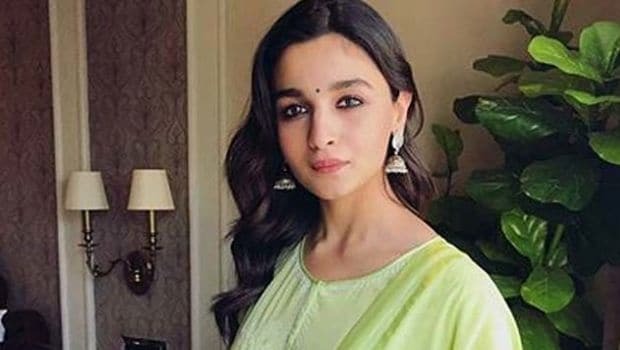 In one of her interviews, Alia revealed that her all-time favourite dish is dal khichdi and curd rice. Did you know, Alia Bhatt along with actor Rajkummar Rao were named as Peta's Hottest Vegetarians in the year 2017? Alia is part of many campaigns and movements that fight for animal rights. It was her love for animals that made her take the call of turning vegetarian. Alia is loving the change vegetarianism has brought on her health. Another titbit not many of you would know about, is Alia's love for tea. In an interview, actor Varun Dhawan revealed that Alia and her sister have a cute tea bar at their home where they keep tea they have collected from all over the world. Alia's love for fresh and natural juices is a relatively known fact. Alia never skips her glass of sugarcane juice post-workout. To keep herself hydrated and cool at all times she can also be seen sipping into her glass of buttermilk, chaas or coconut water quite often. 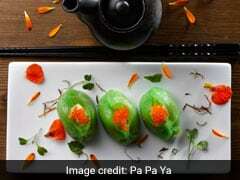 Alia Bhatt's Instagram often features beautiful pictures of her favourite food and drinks. We have picked some of our favourites on occasion of her birthday. That's her enjoying her ruby red beetroot juice in Sofia, Bulgaria. "This is why you don't interrupt me while I'm eating", the chirpy diva shares a cute throwback picture. When it comes to food, Alia is definitely not the one you would want to mess up with. A big bowl of pumpkin soup and the adorable face of her cat Edward is all Alia needs to soothe herself through all sickness. Drool alert! The delicious cupcakes and candies by chef chef Chinu, are going to have you weak in your knees. Not fair Alia, Not Fair. Aren't Alia's vacation photos nothing short of a dream? That's Alia's "coconut water island life", that is making us want to plan a vacation soon. Freshly cut orange papaya, pink watermelon and the mighty blue ocean. It doesn't get dreamier than that now, does it? "When in a palace do as the royals do. More Importantly eat as the royals eat". We agree Alia, we agree! Alia's berry smoothie bowl, has to be one of the most healthy Sunday breakfasts ever. Here's wishing Alia Bhatt a very Happy Birthday! May you get to enjoy all your favourite treats on the day!